2) Strictly personal, non-commercial usage. NOTE: All fields marked in Red have to be entered exactly as written above, including (Non-Commercial Use Only)! 3) Strictly personal, non-commercial usage. Be sure to save this email, print out a copy, or save the activation code in a location you will remember. 5. Press Ok button. 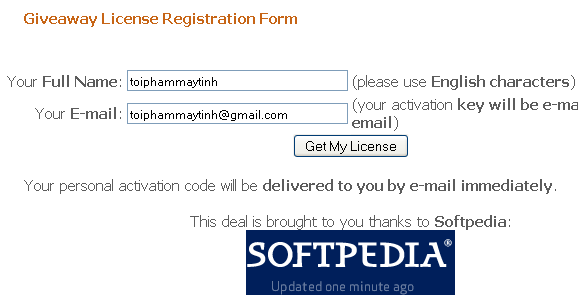 As result you should get confirmation message 'Activation code accepted'. Enjoy your software! 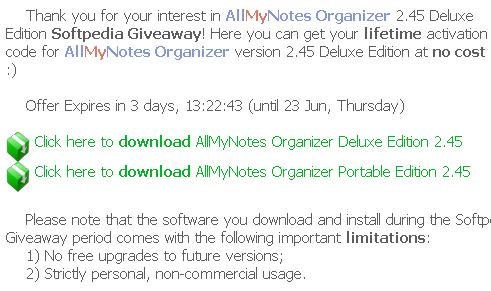 Thank you once again for choosing AllMyNotes Organizer!